So you’ve got a brand new iPhone 5. It’s not worth anything without a solid base of apps to use on it. Whether you’re a new iPhone user, or you’ve been on the platform for years, I guarantee you’ll find a new game off of this list. This is based off of testing hundreds of games, so take my word that these are some of the best games for iOS. 10. Bejeweled 2: Bejeweled 2 is a fun take on the original with several different gameplay modes that enhance the original design of the game. The game looks great on the iphone, and controlling it with touch is actually better than the original design of clicking. This is a game that, although before its’ time, was practically built for touch. 9. Tetris: Tetris is also a surprisingly great adaptation. I have gotten really good at Tetris using arrow keys, and the space bar, so I figured that touch controls would be weird. I was incorrect though. It requires more focus because you actually need to look at the controls, which means no Netflix and Tetris (my bad habit late on weekends), but as a standalone game, the app is awesome. My longest games have lasted about 25 minutes, but my scores are getting higher. 8. Wiki Game: This is a great game for those who watch a lot of jeopardy, love random facts, and are good at making connections. This game has been expanded to include dozens of levels in different gameplay modes. The ultimate goal of the game is to get from the start page on a modified Wikipedia, to the destination page in the least amount of clicks, fastest time, or whatever the goal is in one of the 5+ gameplay modes. 7. 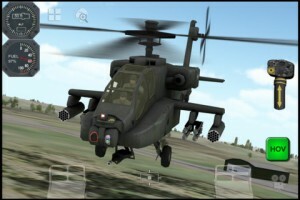 Apache 3D Sim: On sale right now for $1, but So Worth $3! This game brings a detailed and responsive flight sim to the iPhone. Several detailed locations stretch on for hundreds of miles with plenty of things to blow up. 15 Missions provide some fun goals, although I could never get past level 9. For those who just want to blow stuff up without being blown out of the sky, give free flight mode a try. The graphics look great for an iphone game, and the amount of things you can do within the game is huge, although there is only one helicopter you can use. This game is “a blast”, and definately worthy of this list. 6. Air Tycoon 2: This role-playing game is extremely detailed, and allows you to control nearly any aspect of your own airline. There are hundreds of real destinations, a ton of actual planes, and areas that really do affect real airlines. If you’re looking for a business situation game for iphone, look no further. The detail, and the quality of this Sim put it on top in my mind. 5. Fight Night: You don’t need to like boxing to like this game. The graphics are decent, but the intuitive controls and fun premise make this game a blast. 4. NBA 2K 12: This is another game like Fight Night. Liking basketball helps, but it’s not a requirement. The competition and control you have over the team make it a fantastic game. The graphics look great, and the learning curve is not steep. If you dream of an NBA Championship for you and your favorite team (I’m a Knicks Fan), you can make it happen. Who would have thought that the Knicks would have won four championships in a row? So it’s not realistic, but it’s fun. 3. Zynga Poker: Live like a high roller. This is one of the few games where I have ever made an in-app purchase. I’ve dramatically improved my poker skills while playing, and since you have an account, you an keep on growing and growing (or shrinking) your stack of chips. Competing with real people gives me motivation, and a sense of accomplishment when I win a three round tournament because I beat out 500+ people. This is an extremely addicting game, but it’s a much cheaper option to real gambling. 2. LogosQuiz: Are you a pop culture wiz? A master of all brands? Business Savy? Put your skills to the test with LogosQuiz which easily secures the second best spot. In the game, you are given part of a logo and you must identify the brand. There are hundreds of brands in around 10 levels. When you get a bunch right, you get a hint which you can use to identify one you don’t know. The brands get progressively more remote, but the fun never subsides. This is an INCREDIBLE game. 1. Unblock Me: I’ve written about Unblockme before. It’s a really cheap and addicting puzzle game that will keep you occupied for hours. It’s great for airplane rides, but you can also use it when you have a short train ride, or basically anywhere because levels are quick but there are a ton. The controlling is incredibly intuitive although the graphics are simple. Get the free app and you won’t be disappointed. Check these apps out, and be sure to stop by The App Store Chronicle daily (or subscribe to our daily email) so you can stay ahead of the tech curve.